All 13 members of the D.C. Council signed on to a bill that would lift restrictions on who qualifies for medical marijuana. Steph Scherer has been waiting years for this to happen. “Like most Americans are finding when it comes to your health and laws are outdated, we’re going to break them,” she said. Scherer lives in pain due to a neurological disorder. Several years ago she was prescribed 2400 mgs of ibuprofen a day, but while the drugs eased her pain, they quickly took a toll on her body. Scherer was living in California, where medical marijuana is legal. “My options were stay in bed and save my kidneys, continue to take the prescription drugs and lose my kidneys, or try cannabis,” Scherer said. The marijuana worked, but in 2007 she moved to D.C. where medical marijuana is legal but only for very specific conditions, like HIV or cancer. Scherer did not qualify. “So I’ve been living like a criminal in D.C. since 2007,” she said. The bill considered by the D.C. Council Tuesday would leave it up to doctors to decide who should have access to marijuana. “We know there are people out there, more than 4,000 people out there, that could use medical marijuana for their conditions,” at-large Council member David Grosso said. 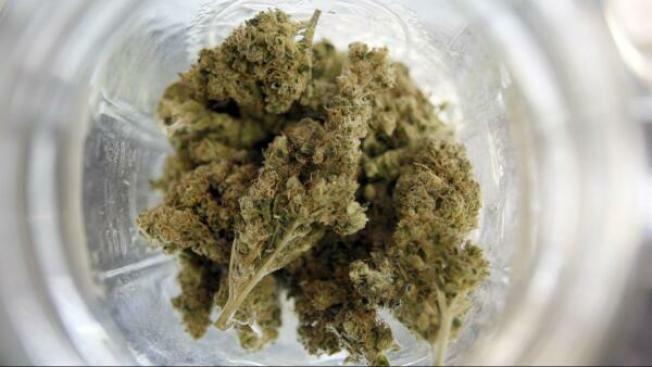 D.C. Mayor Vincent Gray supports increasing access to medical marijuana. The council will hold its first hearing on the proposal next month and could vote on it before summer. One concern facing lawmakers could be the message decriminalization of marijuana and expanding the medical use will send to children whose parents are trying to keep them from trying what many believe is a gateway drug.